Veneers are a widely used cosmetic dental procedure in which your dentist places a covering over the outside, or visible area, of the tooth. 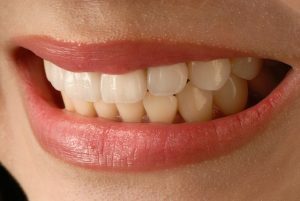 Veneers are usually only applied to teeth that will be visible when a patient is talking or smiling. The use of porcelain veneers may be a great option if your teeth are chipped, stained or show gaps, if the enamel on your teeth is badly worn, or if your teeth are not properly aligned. Our dental professionals can provide excellent cosmetic dentistry services and smile enhancement through the application of dental veneers. The procedure used by our dental professionals can be direct or indirect. The direct technique usually involves placing composite resin on the outside of the tooth using a procedure called bonding. The indirect technique usually involves two appointments since the veneers will be fabricated at a dental laboratory. During your initial appointment, your teeth will be prepared, impressions will be taken and your teeth will be given a temporary covering. These laboratory-fabricated veneers are usually made from porcelain or pressed ceramic, and are an attractive option. Make an appointment with your dentist at Longmeadow Family Dental Care and let us see if veneers might be a good option for you. An organization established by an amendment of the Tax Equity and Fiscal Responsibility Act of 1982 (TEFRA), to provide for the review of medical services furnished primarily in a hospital setting and/or in conjunction with care provided under the Medicare and Medicaid programs. In addition to their review and monitoring functions, these entities can invoke sanctions, penalties, or other corrective actions for noncompliance in organization standards.